Easy Cinnamon Swirl Loaf! Oh boy! This is a wonderful recipe, full of flavor, soft and fluffy and really easy to make too. This Easy Cinnamon Swirl Loaf is a perfect snack with a morning tea or coffee, and always a hit when your loved ones find a slice in their lunch box! 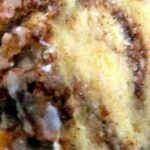 You can freeze this cinnamon swirl loaf, so if you wanted to make a few and maybe even slice them before freezing, that would work. For those of you who are only cooking for one or two people, this is a great idea to freeze in slices and just take out a couple of slices when you wish. We’ve got a whole range of easy and delicious cakes made from scratch, from pound cakes to party, celebration cakes. So make sure you check them out and save any which you’d like to try. 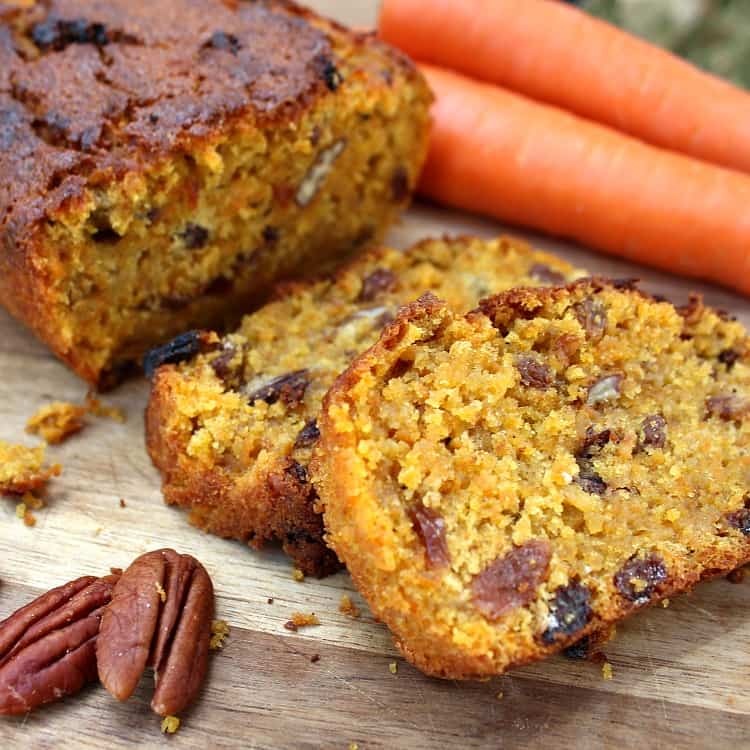 This recipe is one of our most popular at Lovefoodies and we’ve had so many great reviews so a big thank you to all of you who take the time to write comments and reviews below and over on our Pinterest page too! Here, Adelenne has made the most wonderful Cinnamon Swirl Loaf, moist and of course delicious! 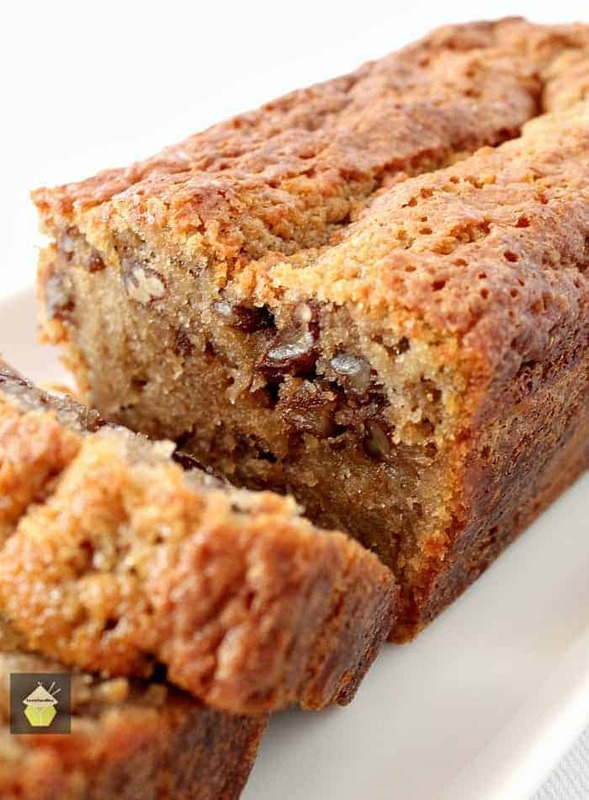 Easy to make and the smell when this is baking is just wonderful, perfect with a nice cup of tea or glass of cold milk. Ahhhhh! So let’s just get straight to the recipe. After all, that’s why you’re here! 1. Preheat oven to 350 °F (180 °C). Grease a 9-in loaf pan. 2. Combine the flour, 1 cup sugar, baking powder, salt, buttermilk, egg, vanilla, and oil; stir just until moistened. 3. In a small bowl, combine cinnamon and remaining sugar. 4. Pour half of the batter into bread pan; sprinkle with half of the cinnamon-sugar. Spread with remaining batter and sprinkle with remaining cinnamon-sugar. 5. Using a skewer or knife, cut through the batter to swirl a few times. 6. Bake for 45-50 minutes or until a toothpick inserted near the center comes out clean. Allow to cool for 10 minutes in the pan before removing to wire rack. Cool completely. 7. For the glaze, combine icing / powdered sugar and enough milk to reach desired consistency; drizzle over loaf. 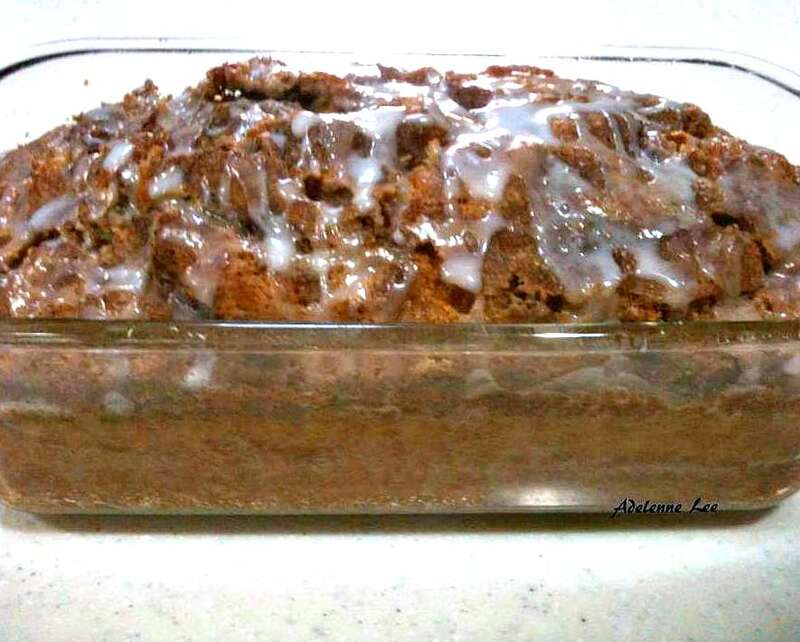 We’d love to hear from you and what you thought of our easy cinnamon swirl loaf cake recipe. Did you make any changes or add some other goodies? Let us know in the comments below. Thanks for reading and happy cooking! Preheat oven to 350 °F (180 °C). Grease a 9-in loaf pan. Combine the flour, 1 cup sugar, baking powder, salt, buttermilk, egg, vanilla and oil; stir just until moistened. In a small bowl, combine cinnamon and remaining sugar. Pour half of the batter into bread pan; sprinkle with half of the cinnamon-sugar. Spread with remaining batter and sprinkle with remaining cinnamon-sugar. Using a skewer or knife, cut through the batter to swirl a few times. Bake for 45-50 minutes or until a toothpick inserted near the center comes out clean. Allow to cool for 10 minutes in the pan before removing to wire rack. Cool completely. For the glaze, combine icing / powdered sugar and enough milk to reach desired consistency; drizzle over loaf. I used this recipe twice. First time i didn’t measure thing properly and put cinnamon in a batter and it came fantastic! And I’m not the great baker at all, more like a disaster type. I’ve attempted to bake it again. Same recipe but actually used measuring cup. It was yummy, but very dense, not fluffy at all and even tasted different. Still yummy, but a very different cake to my first one. And baking takes more than an hour. This came out dense and heavy, it could have eenbtsomething was amis. I followed the recipenregiously and this is NOT my first bake. I am 76 and been baking all my life. This recipe either is missing something or the ingredients are wrong, definitely not a keeper. The taste is there…but I’ve made microwave mug cakes that have better texture. Very dense and gummy. Baked for 20 minutes longer than stated. Definitely finding a different recipe next time I want to bake something similar. This was delicious and easy to make! And full disclosure, I can’t bake anything properly Hahahaha. The kids and husband LOVED this recipe and I couldn’t screw it up if I tried! Thank you! This comes out rubbery and dense, and the taste isn’t great. I followed the directions, did not overmix and my oven works very well. I’ve made this many times before and it is so delicious! I’ve always used a loaf pan but do you think it work if I used an 8×8 or 9×9 pan? Thank you! Hi Hilary, so glad you enjoy the recipe! I think an 8×8 pan would be a better size than a 9 so you get a nice depth to the cake. Just be aware thebcook time will probably be a little less, try checking for done-ness around 10 minutes before the states cook time ends and take it from there! LOVED it!! Thank u for sharing this recipe it was super easy, super moist and delicious!! I tried your recipe for Cinnamon Swirl Loaf and it came out terrible. It’s seems as though there was an ingredient missing like baking soda. The texture was rubbery and dense and no I did not over mix the batter. So easy – it’s a crime. I didn’t have buttermilk so I made my own (milk and white vinegar) but also added a 1/4 tsp baking soda. AND I ran out of flour so used self-rising, omitting therefore the baking powder. This still rose nice and high and had a fluffy consistency. Very pleasing and delicious with coffee. This is amazing! In my opinion, the comments above are not totally wrong about it being dense. It is the texture of any baked loaf “bread” (banana, pumpkin etc. ), which is different than a “cake” texture, so maybe they were looking for it to be more like a cake? I also make a very good cinnamon pound cake that is lighter and fluffier, but this loaf bread is really really good! I used twice the cinnamon it called for with the same amount of sugar, and I had to cook it about 1 hr, and it rose nicely. (My oven may not be calibrated correctly.) This recipe is a keeper!! I think using 1 tsp. 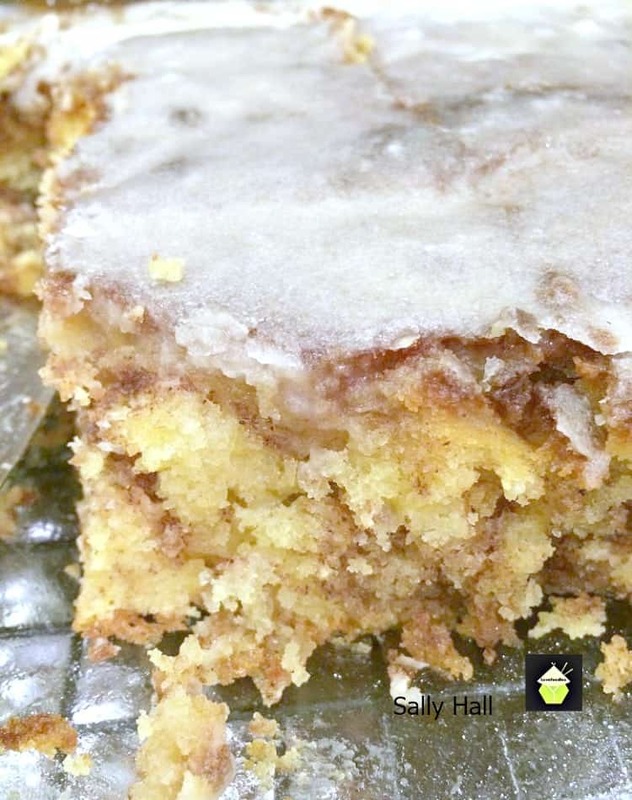 Of baking SODA instead of powder will give more of a “lift” to this delicious looking cake because the acid in the buttermilk will react to the baking SODA to create leavening. Thank you for sharing this recipe. After reading the reviews, I looked at some of my favorite recipes to see what may be different. I upped the baking powder to 2 t. and added a 1/2 t. of baking soda. The loaf was the perfect consistency! The flavor was very good. I did have some issues with the cinnamon sugar sticking to the top. I didn’t glaze the finished loaf as the sugar topping provided a nice crisp topping. Just as a personal preference, next time I make this I will layer the loaf in thirds. One part batter, one part cinnamon sugar, batter, sugar etc. and not swirl it so the it will have cinnamon throughout. I believe as a base recipe, you could do a lot of interesting loaves with this. I think grated Mexican chocolate would be amazing! I agree – I think I will do this in thirds as well for a better swirl effect and taste. This recipe came out flat and dense. Yummy, but not cake like. I thought I missed an ingredient or something until I saw other comments. I think the recipe is missing something. I’ll keep looking for a great cinnamon bread recipe. This isn’t it. You have really done a nice job. As you have shared the best things for me. Even this recipes can be made in busy time also. It’s really special for me. I made the baked portion exactly as written (I doubled the glaze and added walnuts on top after baking) and it didn’t come out exactly like the photo. It was dense and a little gummy (not moist but not dry), and maybe it was supposed to be (kind of) in order to mimick the pull/chew of a yeast cinnamon roll…not sure. I didn’t get the swirl effect, and the cinnamon-sugar didn’t stick to the top. I think this recipe needs butter, to brush on the batter after its poured, to help adhere the cinn-sugar mix. I will try that next time. I doubled the glaze after I saw 1/4 sugar wasn’t enough, and I added walnuts to the top to give it some crunch. Not bad, but not what I expected. Really, really dense. I think I’ll try to make some Kind of oven French toast with it because I definatley can’t eat it as heavy as it is. Smelled good Baking though! Is it possible to double the recipe and make it in a 8″ square pan instead? If so, how long do you think it should bake for? I made two of these the first time, I am going to do another one soon after getting your answer to my question.I did not get the glaze to look like the picture, help me with this. The loaf was still delicious, will definitely make often. Can you bake this in a Bundt Pan? Hi Robin, sure! I would suggest reducing the bake time by 10 minutes and checking then. As you know, bundt pans will cook quicker. Hi Cherie, Yes, regular sugar is the same as granulated sugar. You can also use castor if you prefer. The only difference is the sugar grains are finer so you won’t need to mix as much to dissolve the sugar. This is such a great recipe,made it twice and family loves it! Thank you for the recipe. I made this tonight for our neighbor and am going to have to make one for my home because it smells and looks so good!! Great recipe. I put mine on a baking sheet since I baked it in an aluminum disposable pan and I didn’t want the bottom burning. I took it off the baking sheet after 30 minutes and it took about 20-30 minutes after that which is fine. Thanks for sharing this! Hi Poorti, I am so sorry this didn’t turn out as it should have for you. 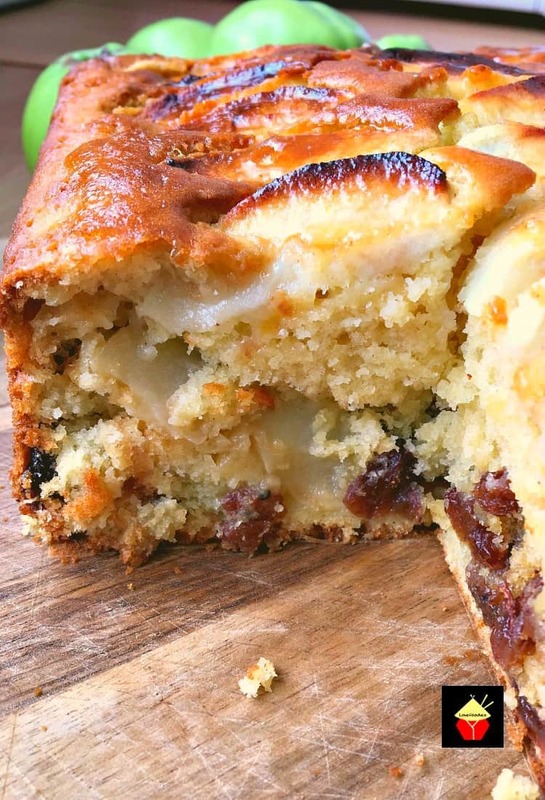 The only thing I can think is that you may have missed or incorrectly weighed any of the ingredients such as flour, baking powder as those are the raising agents which would make the cake light and airy and not as you describe. The only other thing I can think which could cause such a problem is the incorrect oven temperature, whether by mistake or if your oven thermostat needs to be checked. It might be a good idea to read through the recipe again and see if there is anything you missed, otherwise, it should most definitely turn out just as you see in the photo. I hope that helps and perhaps you can give it another try when you are able? The same thing happened with me. Followed the recipe to the t. And when i inserted my knife in the middle after 50 min it came out sticky 🙁 i bake often so i know it cant be my oven and the temperature setting. This loaf needs more time in my opinion. I had the same problem. I even made two seperate recipes of it. The first one turned out like you described. So I attempted it again, same thing! I am disappointed because I wanted to give these out to friends :(. I even tried leaving it in the oven longer but it was still really dense. you should be able to print all the recipes, did you try using the print button? It is above the ingredients, click that and you can select printing or downloading as a PDF File. You can also use the column of buttons on the far left of each page, again, select the print icon, or if you are using a mobile device, at the bottom of your screen, click on the share option then select print. Gosh, Yvette, what a fabulous idea to add pears to the recipe! I really love that idea, and of course I am so happy you enjoyed the recipe and chose this one for Christmas gifts. It makes me feel very proud indeed! Thanks very much for your feedback, and a very Merry Christmas to you and your family! I’ve made over 20 loaves of this for a fundraiser to raise money for an upcoming mission trip to Haiti!! It’s been a huge hit among the 4 different types I’ve been selling. Thank you so much for the recipe!! Wow! That is a marathon bake you did Jountia!! I’m so happy they were a hit! My friend made this last weekend and now I’m making it for a friend this weekend!! It is SO SO good!!!!! Thanks for sharing! Thanks for your feedback and I’m so happy you and your friends are enjoying the recipe. Happy Baking! If I don’t have buttermilk,, will regular milk work? In a bowl, add 1 cup of milk, then add 1 Tablespoon of lemon juice or vinegar. Let it stand at room temperature for 5 minutes, then give it a stir. The mixture will have slightly thickened. That is it. There you will have the buttermilk! Hope that helps and Happy Christmas to you!